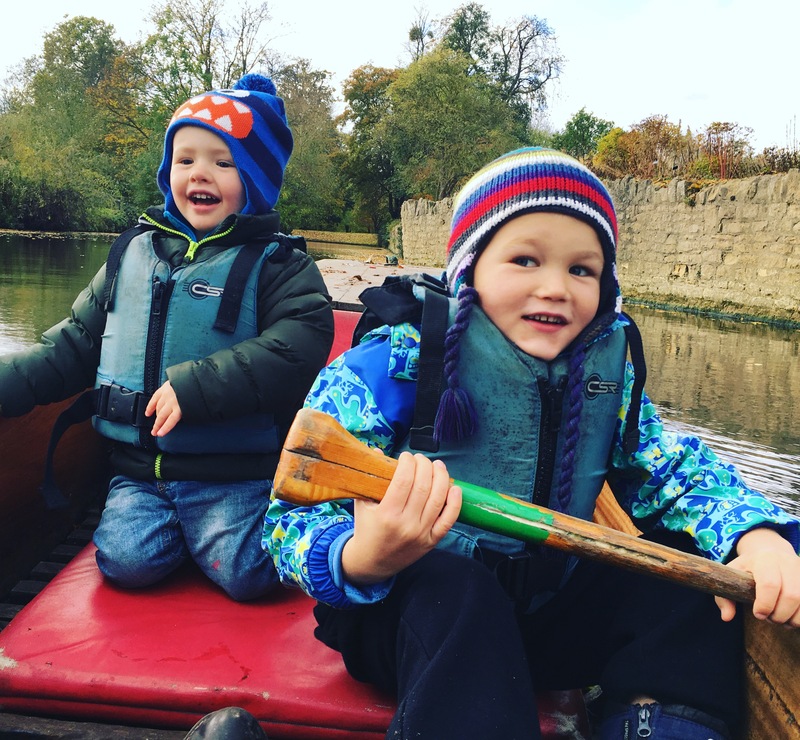 What do you get if you put two rowdy toddlers, one tall Dane with no natural balance, two slightly hungover friends and an excitable four year old into a punt? As it turns out – an absolutely brilliant day! The ingredients should really have spelled disaster and although there were some near misses with regards to possible dips in the river by nearly all members of the group, we managed to remain onboard, afloat and in high spirits! Oxfordshire was our chosen destination for this weekend’s XCountyChallenge. Having moved here a few months ago, we are already in love with this beautiful rural area and proud to call it our home. That being said, we have not spent much time in Oxford itself, and up until this weekend, had not yet taken to the water. But Oxford is famous for its punting, and you know what they say: “when in Rome…..”. 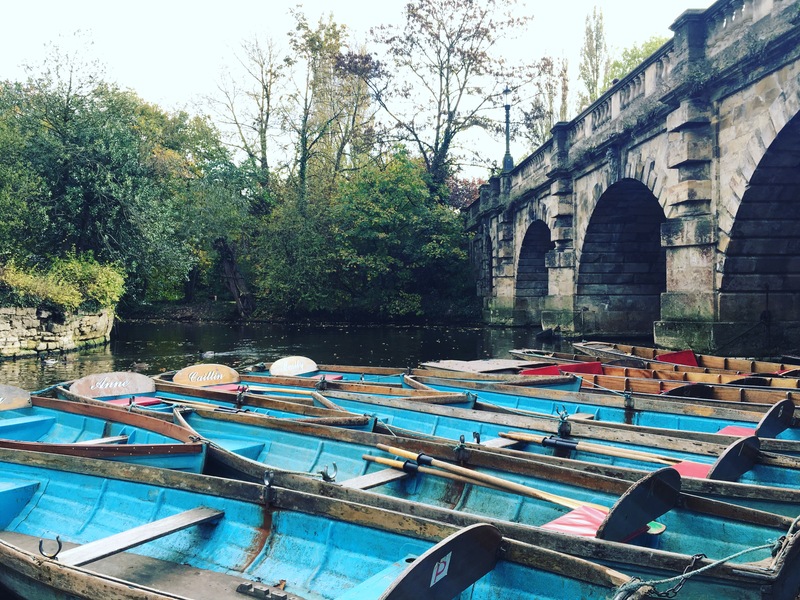 Punts were introduced as pleasure craft in Oxford during the Edwardian era and since then punting has become a popular pastime amongst locals, students and tourists alike. A punt is a flat-bottomed boat that does not have a keel, and is propelled by means of a long pole, which is pushed against the riverbed. It seems like a remarkably simple process…. until you actually try it. Today’s punting challenge took place on the River Cherwell, which winds around the eastern fringe of Oxford town, before feeding into the Thames (or the ‘Isis’ as it called within Oxford’s boundaries) to the south of the city. 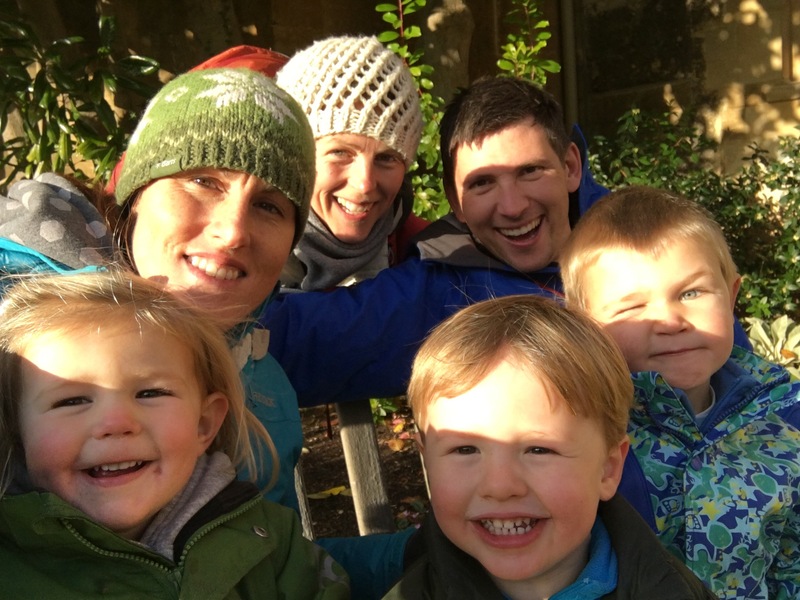 Along for the ride was our new Oxfordshire buddy Sophie and her two kids Seb (5) and Thea (2). An experienced punter, working on the river during her university days in Cambridge, Sophie was certainly a good choice of companion for this outing and provided lots of useful tips on our shoddy punting-technique. We hired our punt from Magdalen Bridge Boat House (pronounced Maudlin). It cost £22 for the first hour, and £5.50 per 15minutes thereafter. They provided a map, with a suggested loop heading south under Magdalen Bridge and around a little island. The loop passed Oxford’s Botanic Gardens, Christ Church College Meadows, where Lewis Carroll taught in the mid-19th century when he wrote Alice Through the Looking Glass (1871) and Alice in Wonderland (1865), and then back past St Hilda’s College gardens and Magdalen College School, before returning to the Boathouse. It’s a perfect distance and even with our somewhat non-direct route bouncing off each side of the riverbank, we completed it within the hour, which on this chilly autumnal day, with rumbling tummies, was enough. Morts was the first to take to the helm. At 6ft 5” and not blessed with a natural sense of balance, it would be fair to say that Morts did not necessarily enjoy the first few minutes of his punting experience. Standing precariously at the back of the boat and hanging onto the pole as if for dear life, he was not a natural ‘punter’. But after a wobbly start, bouncing from bank to bank, he got the hang of it and we began to glide down the Cherwell. The kids loved it, chatting to the ducks who came right up to the boat and followed us along the river, hoping that some of the snacks being consumed may find their way into their beaks. After twenty minutes or so it was my turn to take the pole and I actually made Morten look like a natural! It is seriously difficult! I did get the hang of it eventually but did seem to specialize in getting us horizontal across the river with the nose of the punt wedged into the bank (much to the amusement of the other river users who had opted to be chauffeured along the river by an experienced guide!) But we eventually made it back to the Boat House and Morten displayed his new-found skills, gliding the punt in effortlessly. Impressive! After getting off the water we headed to the University of Oxford Botanic Gardens, which we had passed by only moments earlier. Founded in 1621, the Botanic Garden is the oldest in Great Britain and one of the oldest scientific gardens in the world. 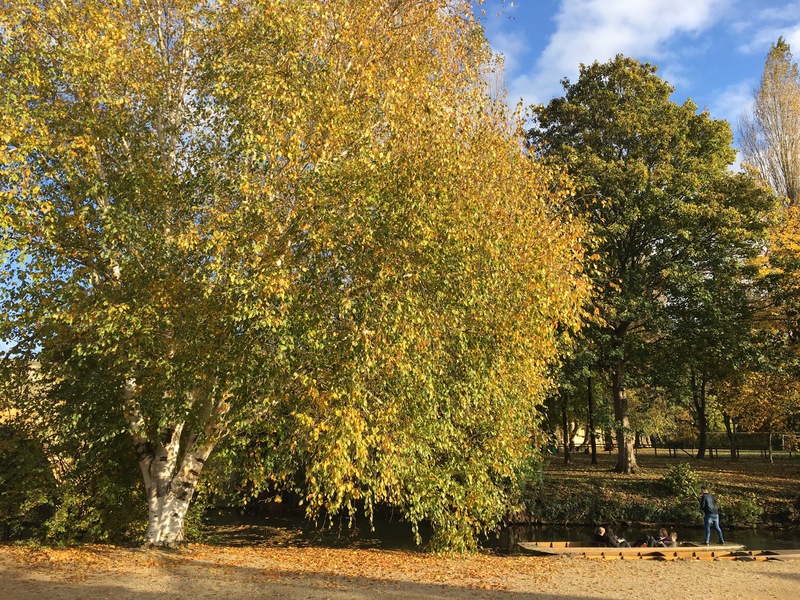 It originated as a physic garden, growing plants for medicinal research and today covers an area of 4.5 acres and contains over 8000 different plant species. We barely scratched the surface of the gardens as for today’s purposes it was purely a nice venue for a picnic. Feeling a little chilled we headed straight to one of the many greenhouses and spread out our platter on the big benches in the centre. We supped on warming tomato soup and munched hearty big sandwiches whilst admiring the lovely plants, flowers and fruit trees all around us. 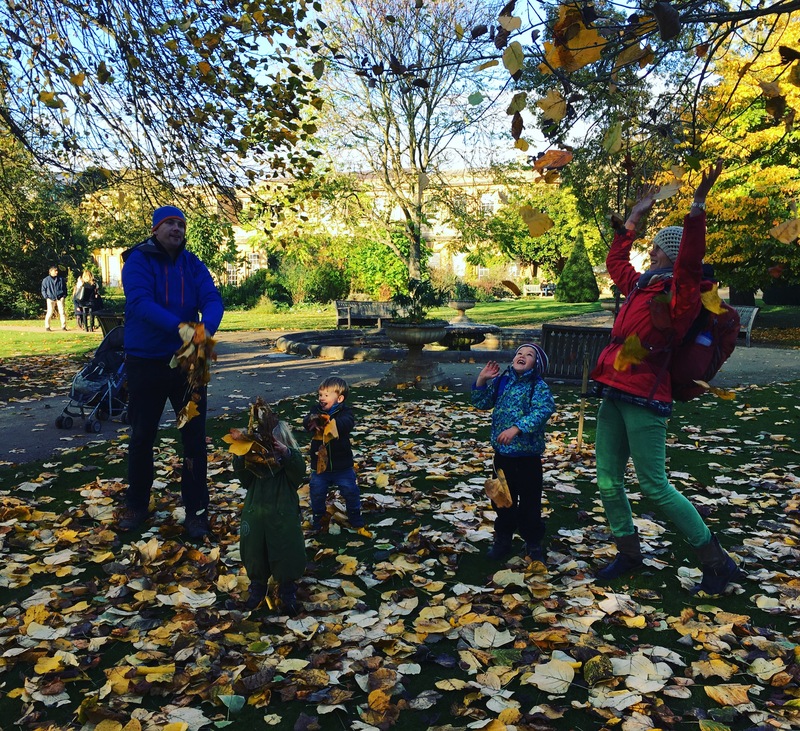 Then we headed outdoors, had a run around, kicked through the leaves and played ‘who can find the biggest leaf’. The sun was shining, the air was crisp and it was just lovely. All in all, we’d all had a brilliant day, learnt a new skill and seen another little pocket of this stunning and historic city. We’ll definitely be back to explore more of the Botanic Gardens and may even take another trip on the river to hone our punting skills! Oxfordshire, we are happy that you are our new home and look forward to spending a lot more time exploring and adventuring here! Thanks for being county number 2 in our XCounty Challenge! 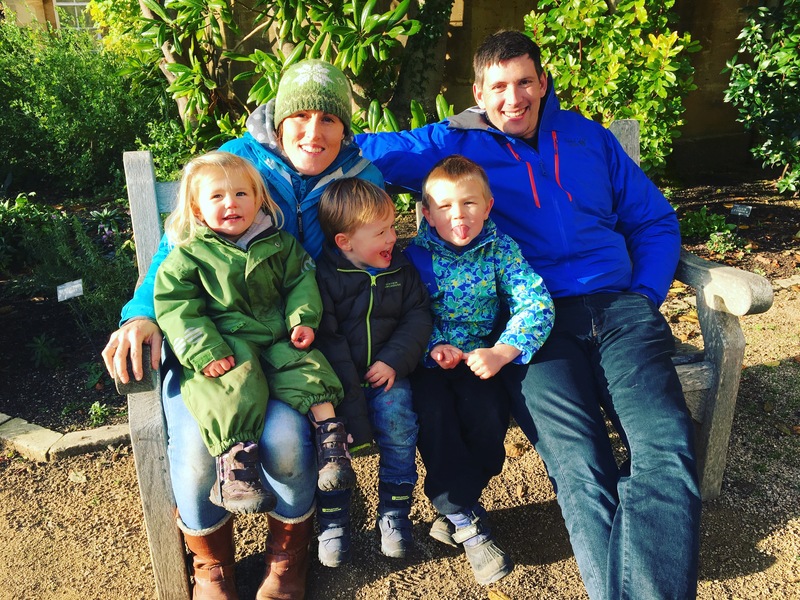 Oxford Botanic Gardens – £5 entry or £3.50 concession, or free if you have an annual pass to the Oxford Arboretum, which we do.